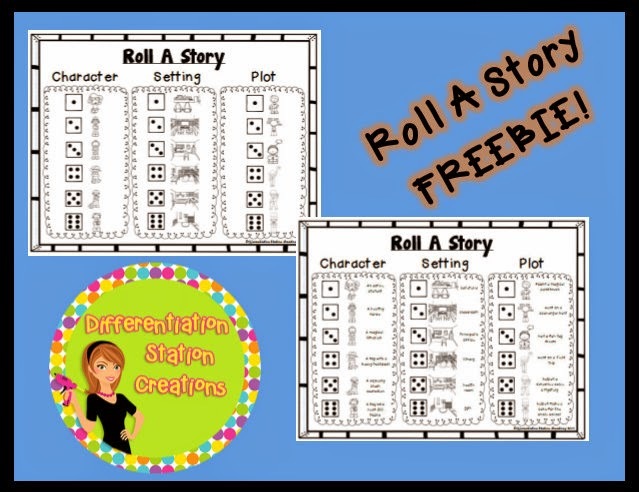 I’ve always loved all of the Roll A Story games. It reminds me of the “Choose Your Own Adventure” books that I used to read. It’s such a fun concept that your story is chosen by the roll of a die. I have used other people’s Roll A Story games before, but had not yet made my own. A ton of kids in my neighborhood are about to enter Kindergarten and I wanted a fun way to introduce them to the people and places in the school. I decided to create a “Back to School: Roll A Story”. The kids can roll the die and verbally make up a story to go along with the pictures. My daughter, who is going to be in preschool, didn’t want to be left out! She is busy making up all kinds of stories. I promised her that I would share one of her creations, so I will be back later to share one of her original stories! Click here to get your free copy of “Back To School: Roll A Story”! I would love to know what you think and any other themes you might want for “Roll A Story”! I’m linking up with Classroom Freebies for Manic Monday!